A trip to the hair salon always gives me seriously mixed feelings. While I am excited to get the ends chopped off and the roots touched up, I dread the time at the washing sink. Leaning back in the chair, with my feet dangling above the floor and my head hanging in space, it feels like I am in a long-term sit-up. The neck and back aches that result, along with my clothes becoming soaked, are extremely unpleasant. No matter how many times I try to relax, as per the instructions of the hair washer, the result is no different. I always thought I was alone in this experience, but literally every single person I have relayed this story to has shared similar or identical experiences. I recently discovered, however, that neck pain can be a thing of the past with a tilting shampoo bowl. Rather than have your client lean back and try to adjust themselves in the bowl, you can bring the bowl to your clients. They merely sit back and the bowl is placed in a position that is perfect for the person's height. An added bonus can be having a small cushion on top of the seat - it gives extra height and extra comfort to your client. For the first time ever, I was able to close my eyes and enjoy the head massage, completely free of neck pain, back pain, and a soaked shirt. 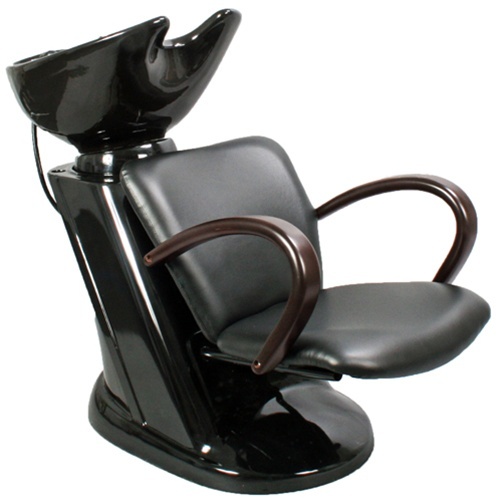 CLICK HERE to see an attractive and cost-effective Tilting Backwash Unit by KI New York.